Some time ago I posted about the various remakes of the Nintendo Ultra Machine DX, which appeared in the last ten years or so. 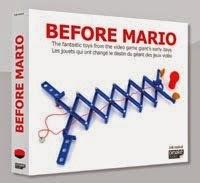 They seem to be officially approved by Nintendo, though no license or copyright information is included. Up until now, I had found three variants: two by company Nichiten and one by Tenyo. These versions differ from the original in box design and branding on the toy (base and bat). I recently discovered a fourth variant, shown here. It is another (third) version by Nichiten. 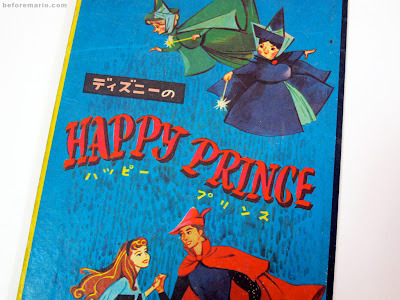 The Nintendo board game Happy Prince (ディズニーのハッピープリンス) is a game based on the Disney movie Sleeping Beauty. 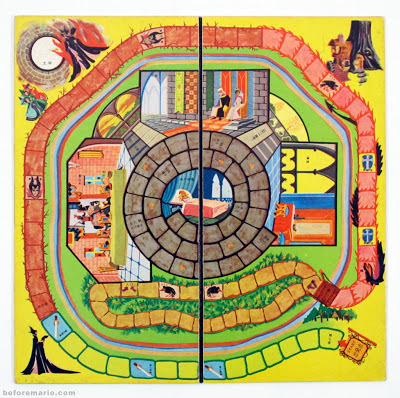 Like many of the early Nintendo board games, it is a localized Japanese version of a game created by American company Whitman. The original Whitman game is called Disney's Sleeping Beauty Game. 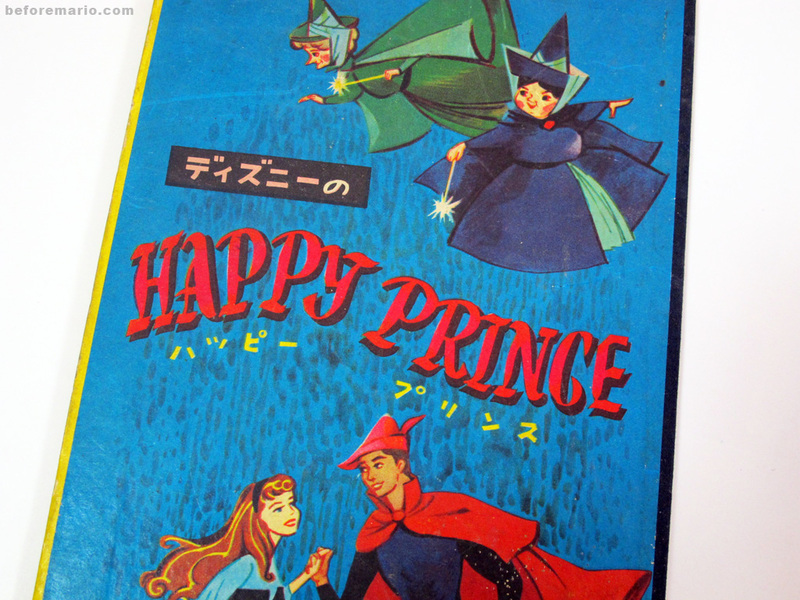 Happy Prince is a pretty standard affair, with a spin of the dice largely determining the outcome of the game. When we take a better look at the back of the play field, we see something interesting. 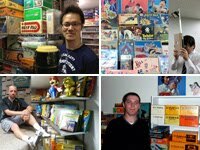 Yesterday I started another round of auctions of vintage Nintendo items. For sale are Nintendo Ultra Scope (2), Custom Gun Man (2), Custom Lion, Space Ball, Custom Lever Action Riffle Scope (very rare! ), Ele-conga Auto Player (very rare! ), Twister, Ten Billion puzzle (6), Kamen Rider Clock and Disney Clock, Ultra Man Monster Copy and more. The auctions will run for a week and have a low starting bid and no reserve. An excellent opportunity to start a collection or to extend it with some pieces you have been missing. I will ship internationally and will combine shipping to save cost as much as possible. Update (May 26): the auctions are now finished. Congratulations to the winners and thank you to all who showed an interest! But... we are not done yet. More items will go on sale in a couple of weeks from now. Watch this space.